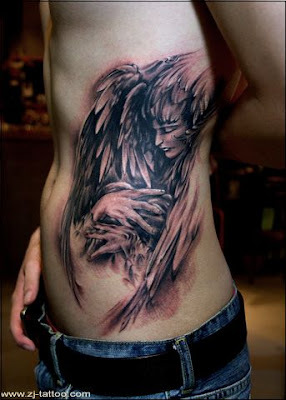 An oil painting like angel tattoo design. In this tattoo, the angel seems to be holding someone. Maybe it is interesting to see what tattoo is on the other side of the body.